There's a stack of books that has slowly grown taller over the past few weeks. As I've worked through what I would like to make happen in 2014 some common themes have come to light. I want to grow my business and as a business owner, I want to create a sacred space for myself (both physical and mental) and I want to live the year in a mindset of love. I'm getting married this year, and I plan to revel and enjoy every moment leading up to our wedding and the rest of the year as a newlywed. I'm looking forward to more long walks with our puppy Chandler. I want more yoga and a cleaner diet (at least most of the time ;-).) 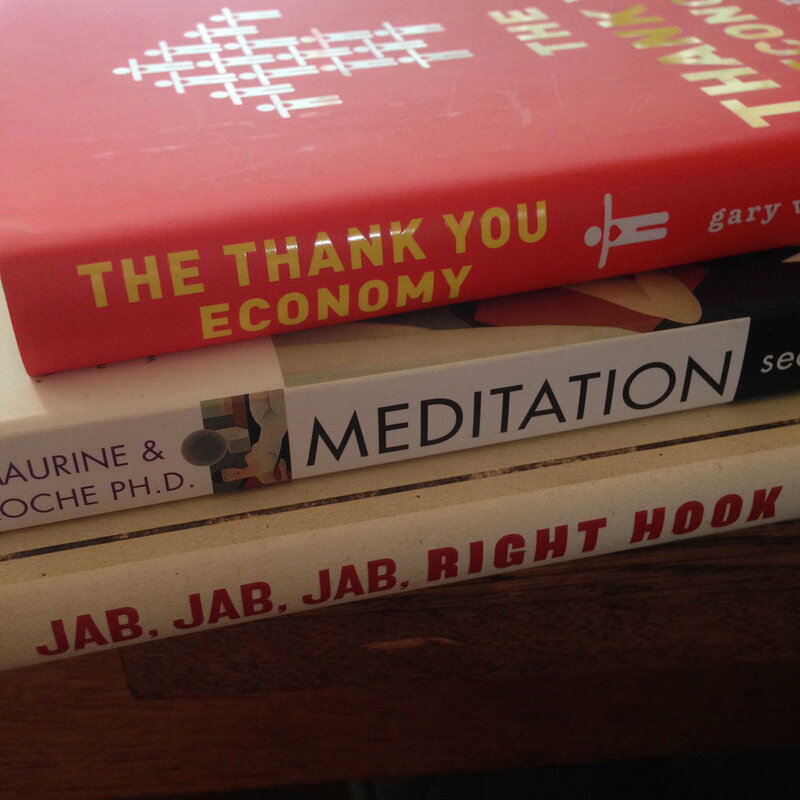 Some of these books I've purchased myself, others were gifts, but I think they were all meant to find a place among the first words I try and absorb in 2014. What are you looking forward to reading this year? What are you envisioning for your 2014? I'm still working through what this new year will mean for the blog. Most importantly though, I still enjoy sharing in the space and have no plans of quitting.